Hallelujah Acres has produced a powerful 34-minute video featuring four medical doctors who discuss the body’s ability to heal itself of almost any physical — and even psychological — problem. Have you ever wondered how the body heals itself from injury, sickness, and disease? Externally we can see the body literally heal itself from a cut or laceration on the exterior as we see the bleed to cleanse the wound, the scab form to protect the wound, while underneath the scab the integrity of the skin is restored. But what happens on the inside of the body when the body experiences injury, sickness, or disease? When a person goes to a doctor in an effort to restore health, what does the doctor do? The doctor gives the person some medicine that is supposed to make the person better. But is that drug capable of healing anyone of anything? In this video, leading health experts including Dr. Neal Barnard, Dr. Joel Fuhrman, Dr. John McDougall, Dr. Russell Blaylock, and Rev. George Malkmus explain the amazing self-healing power that God has built into each human being. These experts explain how the body itself is the healing factor when conditions conducive to healing are provided. Most people fail to realize that drugs have absolutely no healing power! In fact, drugs often hinder or negate the body’s self-healing process. This is an amazingly informative video with a powerful message. It speaks to everyone from doctor to patient. Click here for more information or to order this video. P.S. This video was shot only a few weeks after Rev. Malkmus experienced a hemorrhagic stroke in July 2001 due to stress. Doctors had told his wife Rhonda that, without drugs, he would be dead in 24 hours. Still, all drugs were refused, and Rhonda nursed Rev. Malkmus back to health using The Hallelujah Recovery Diet. 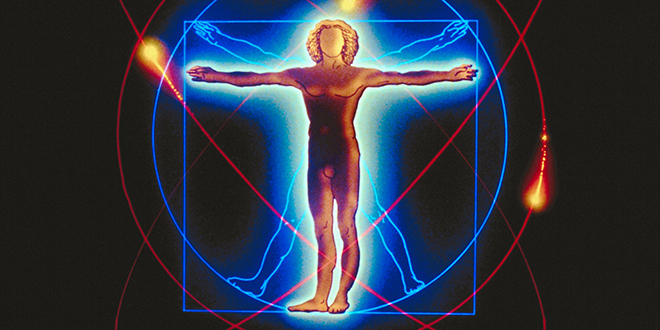 The Miraculous Self-healing Body video gives you an opportunity to see how rapidly Rev. Malkmus recovered from that stroke by simply and intensely adopting The Hallelujah Recovery Diet. In the video, there is no evidence that a stroke had ever happened! Rev. Malkmus’ speech is clear, his mind is sharp, and there are none of the usual indicators of stroke (paralysis, etc). Today, 12 years later, he is still alive and well at nearly 80 years of age and still an “energizer bunny!” Hallelujah!